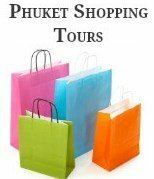 Would you like the best Phuket Travel Secrets, tips and Thailand vacation ideas? Well if so, congratulations you have found a website that is loaded with Phuket travel information and tips, not created by travel agents, but by real people who love taking holidays in this "Thailand Paradise". Join us as we share with you real first hand experiences and most importantly give you travel tips and vacation ideas that will make your holiday much more enjoyable. The pages throughout our website contain useful travel information and travel tips that we have discovered and learned over many years holidaying with family and friends. The Island has long been known as an exotic holiday destination for visitors from all around the world. 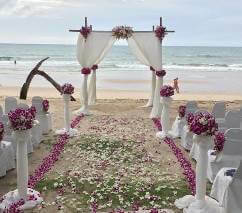 And is well recognized as one of the most beautiful and affordable holiday destinations in Thailand. Here you can immerse yourself in fun filled family vacations with your kids, enjoy romantic vacations with your loved one or a great place to just spend time relaxing with friends. Phuket is Thailand’s largest island, surrounded by breathtaking natural beauty, stunning beaches and beautiful offshore islands. 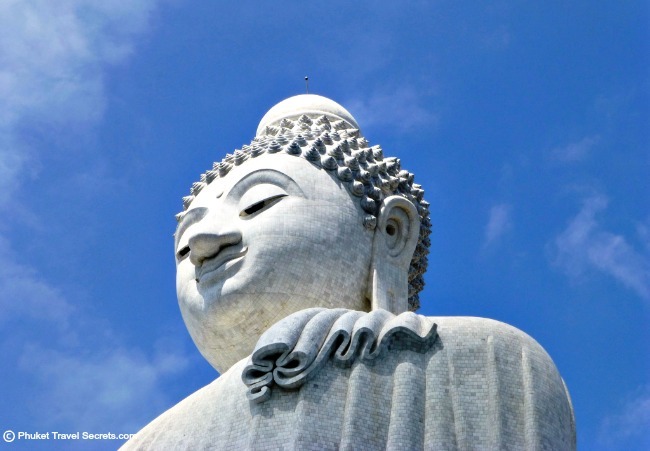 No wonder it's also known as the "Jewel of the Andaman"
Phuket has a multitude of interesting attractions to see and lots of exciting and adventurous things to do including a host of fun activities for kids. When we visit the island we like to get out and explore, immersing ourselves in fun and adventurous day trips to the picturesque nearby islands. Explore the stunning Phang Nga Bay, famed for its spectacular natural beauty and sheer limestone karsts, or the beautiful Phi Phi Islands renowned for its tranquillity and spectacular beaches. Throughout the year there are many special events and festivals, including religious festivals, cultural and sporting events. One festival that shouldn't be missed, is the Vegetarian Festival the most popular annual celebration in Thailand. Phuket has long been a one of the top honeymoon destinations in Thailand with beach and villa weddings becoming increasingly popular with an abundance of beautiful beaches and venues to choose from. There is an abundance of affordable hotels and resorts scattered throughout the island that are well priced to suit all budgets. You will find a large selection of budget hotels and bungalows to upmarket luxury hotels, 5 star Resorts and beach resorts. As well as some of the best family friendly resorts and hotels, that provide fun activities for the kids. You will also find an excellent range of private villas and vacation rentals that are perfect for romantic getaways or if your traveling with a large group of family or friends. There are plenty of great places to go shopping, with bargains galore, from air conditioned department stores to a range of street stalls, markets and local shops. If you love food, you're sure to enjoy your holiday vacation on the Island, which is well known for its fresh succulent seafood, excellent Thai food and a fantastic choice of international and western cuisine. The nightlife is mainly centred around Bangla Road in Patong, it's colorful and exciting, loud and raunchy but believe me it can be loads of fun. 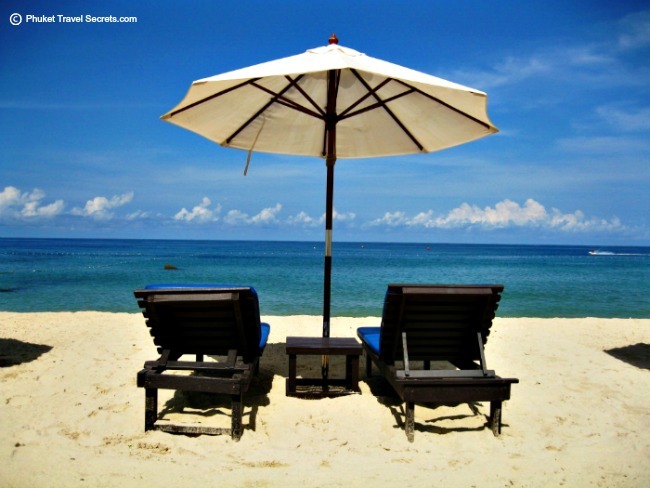 While most visitors to this Thailand Paradise come to relax and enjoy the sun, sand and the warm tropical waters. While some visitors prefer to combine their vacation with a golf tour, and play a round of golf on one of the many world class golf courses that are dotted around the island. Other visitors prefer to go scuba diving where you can explore a variety of marine life and spectacular coral reefs in one of the best dive sites in the world. In recent years medical tourism and dental tourism in Phuket has rapidly increased. With many visitors now combining their vacations with routine health check-ups, dental work, Lasik eye surgery and a range of low cost plastic surgery procedures. As you will see there is lots to do on the Island other than just the spectacular beaches. The people are warm and friendly and they go out of their way to make your holiday more than memorable. We hope you enjoy reading the pages throughout our site and we look forward to assisting you with as many travel secrets, tips and a range of practical information you may need to know for a worry free vacation. Including things like what to pack, visa requirements, the weather, beach safety and currency exchange. All of which will help you prepare for your own holiday to and around Phuket, the offshore islands and Thailand's other popular party and honeymoon destinations of Koh Phi Phi and Krabi Province. We fell in love with this amazing Island and its people. For easy navigation around our site, please feel free to use the search bar to find the information you may be after.